San Quentin&apos;s death lethal injection facility is shown before being dismantled at San Quentin State Prison in San Quentin, Calif., on March 13, the day Governor Gavin Newsom announced a moratorium on California&apos;s death penalty. California has 737 people on death row, the largest death row population in the United States. On June 15, 1990, Rosie Alfaro went to the house of a friend in Anaheim, Calif. She thought no one would be home, and planned to break in and steal valuables to sell for drug money. But the house wasn’t empty. The door was opened by 9-year-old Autumn Wallace, who recognized her older sister’s friend, and let her in when she said she needed to use the bathroom. As Autumn returned to what she had been doing — coloring paper dolls with crayons — Alfaro took a knife from the kitchen. Then, pretending she needed help with an eyelash curler, she coaxed Autumn into the bathroom and stabbed the little girl 57 times. Autumn bled to death on the bathroom floor, and Alfaro stole household items that she later sold for less than $300. At trial two years later, Alfaro was sentenced to death. Superior Court Judge Theodore Millard called the murder of Autumn Wallace the most “senseless, brutal, vicious, and callous” killing he had ever encountered. After 15 years of delays and appeals, the California Supreme Court unanimously upheld the lawfulness of Alfaro’s punishment. That punishment has never been imposed. Though California has the largest death row in the nation, it hasn’t executed a murderer since 2006. If the state’s new Democratic governor, Gavin Newsom, gets his way, that won’t change: Newsom last week announced a unilateral reprieve for all 737 capital murderers on California’s death row. In effect, he declared that should any execution be scheduled while he is in office, he will use his authority to grant temporary reprieves to block it. Newsom made it one of his first priorities to ensure that neither Alfaro nor any other killer awaiting punishment in California is ever put to death. At Alfaro’s trial, her defense lawyer urged the jury to reject the death penalty, which he said should be reserved for serial killers. There are plenty of them on death Row, too — monsters like Chester Turner, who murdered 14 women, one of them pregnant, between 1987 and 1998, and Eric Leonard, who in 1991 gunned down three people in a Sacramento market for kicks, then a week later killed three more in a pizza parlor. Indeed, among the inmates Newsom has pledged to keep alive are 160 murderers each of whom was convicted of killing at least three victims. There are 25 prisoners on death row who slaughtered six or more human beings apiece. 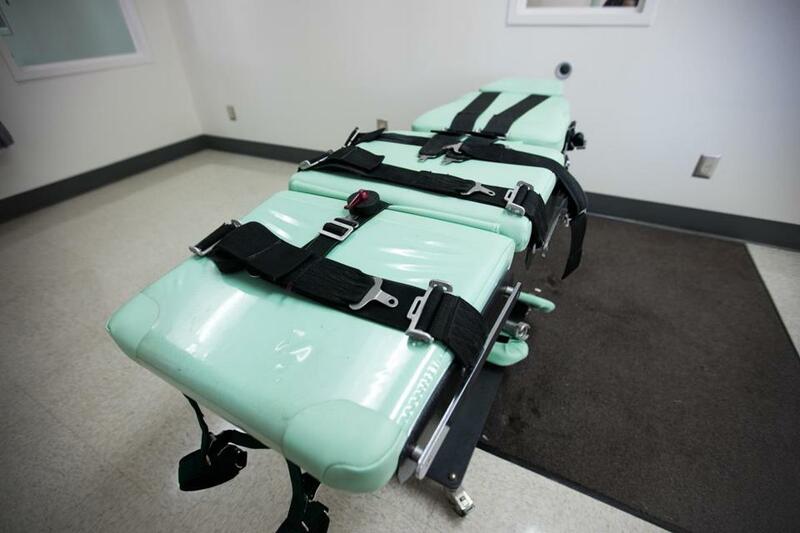 Capital punishment is a controversial subject in California. Through ballot propositions, voters have repeatedly been asked to abolish the death penalty — and have repeatedly upheld it instead. During Newsom’s tenure as lieutenant governor and campaign for governor, the subject came up often. In 2012, he vigorously supported Proposition 34, a well-funded initiative to replace capital punishment with life imprisonment. After that attempt failed, he just as vigorously supported Proposition 62, another initiative to end the death penalty. It too was defeated. His word was not to be trusted. Double-dealing politicians are not a new phenomenon; neither is Newsom’s reputation for deceit. And in practical terms, the governor’s reprieve for everyone on death row changes little: Executions weren’t being carried out in California anyway. Newsom’s decree means only that the justice long ago promised to Autumn Wallace, and to so many hundreds of other murder victims, will go on being denied. The depraved killers who sent them to early graves will never pay the penalty that judges, juries, and appellate courts — and voters — all agreed they should pay. California’s worst murderers can look forward to living to a ripe old age, adding pitiless insult to unspeakable injury, as a smug and preening governor does his best to make sure that murder in his state will never be taken too seriously.